Pinpoint Strategic Communications is located in the great Pacific Northwest…one of the most naturally beautiful areas in the U.S…AND one of the most beautiful cities for “giving back” to their community and to the world at large. Bill Gates and the late Paul Allen are among the top 20 global leaders who have shared their success with humanity (in excess of nearly $50 BILLION combined). They both make/made there homes here, so we have great trailblazers right in our backyard. A recent article published by Ed Frauenhaim for Fortune explores why companies who give back receive so much more than companies who don’t. Their study discovered that charitable, philanthropic efforts on the part of employees and employers result in workplaces that are better for business, better for the people who work there, and better for the world. 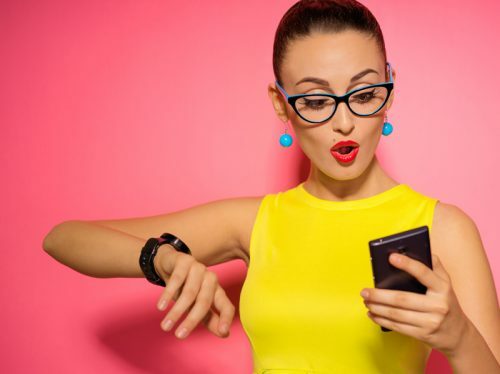 Several hundred companies and more than 380,000 employees in conjunction with this study revealed that giving back is associated with greater employee retention, higher levels of brand ambassadorship on the part of workers, and more enthusiastic team members. Staffers who believe their organizations give back to the community are a striking 13 times more likely to look forward to coming to work, compared to employees who do not perceive their employers to be generous toward the community. make it part of our culture to foster a connection to our community by seeking ways to give back and spread the love. So, we began a formalized program, called “Paying it Forward.” This program donates $100 in the name of each new client to a charitable organization that our staff votes on. For our first donation, we voted for Animal Rescues. When we reached a total of 15 new clients (or $1,500), we’d execute our donation and then select another charity to focus on — and the cycle would begin again. 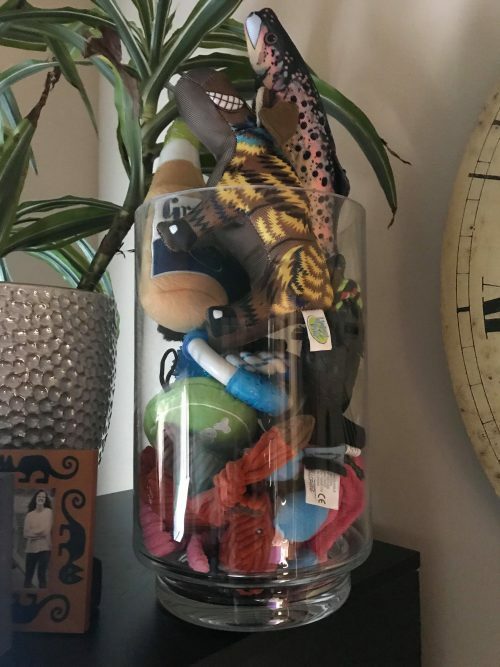 To motivate us toward our goal, we dropped a puppy toy in our “Pay it Forward” jar to represent each new client. We’re so very proud to say that we reached our first donation goal this quarter (and filled our jar! 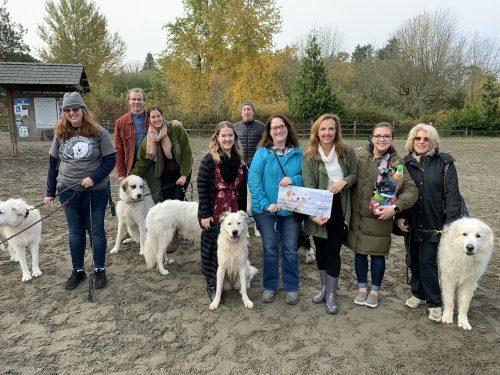 ), and last week, made contributions to two animal rescue organizations who serve the Puget Sound (The Great Pyrenees Rescue Society, who placed over 430 dogs who would have otherwise been euthanized in homes in 2017: www.greatpyreneesrescuesociety.org, as well as the Seattle Persian and Himalayan Rescue: www.seattlepersianrescue.com). Both rescues are very near and dear to the heart of Janae Grove, who is our Senior Email Marketing Specialist. In fact, Janae’s Pyrenees rescue “Lady” can be seen in the photos below). We have no doubt that our next vote will be for a local children’s 501-C organization, and we’re already well on our way to realizing that! We have quite a few clients in the aesthetic medical marketing space who do great work in their local communities as well. In 2019, we are hoping to see you all continue with your efforts. They go a long way not only for the folks who’s lives you touch, but also for your staff, your patients, and for your business in general. I want to give a shout out to one of our clients who consistently does an excellent job with philanthropic work in their coastal New Jersey community, and that’s Dr. Christopher P. Godek and the Personal Enhancement Center / Bella Derma Medi Spa. I’ve included a few of Dr. Godek’s efforts below, that Pinpoint has helped the practice create to promote their various efforts. 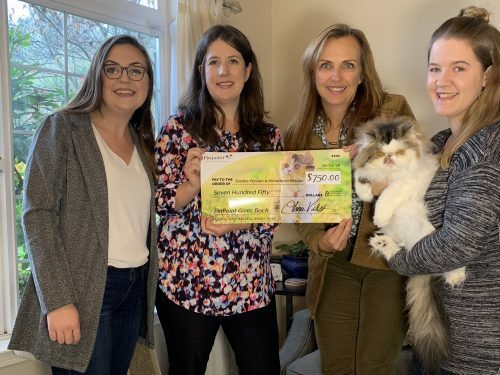 We’ve worked with Dr. Godek’s office for the past decade, and this year, in addition to opening a new office in Wall, NJ, they also managed to actively support quite a few local charities and causes. No doubt, these efforts have contributed to the long tenure of his loyal staff. View the full “TEAM GODEK” project here. To all our clients, both old and new, thank you so much for your trust, confidence, and support! 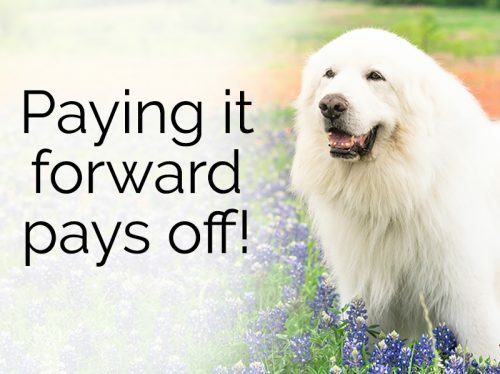 We’re paying it forward. 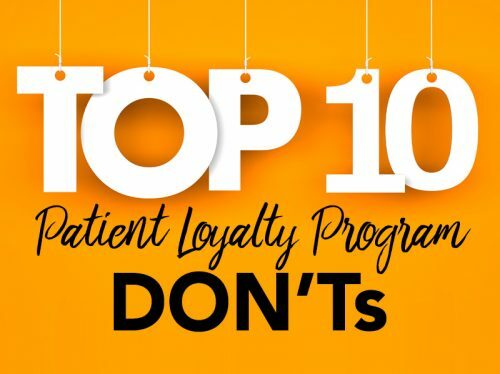 Pinpoint explores some of the most common pitfalls in loyalty program design so you can plot a course toward a successful customer loyalty initiative in your practice. Follow these simple guidelines to sidestep landmines and ensure you start out on the right foot from the very beginning. 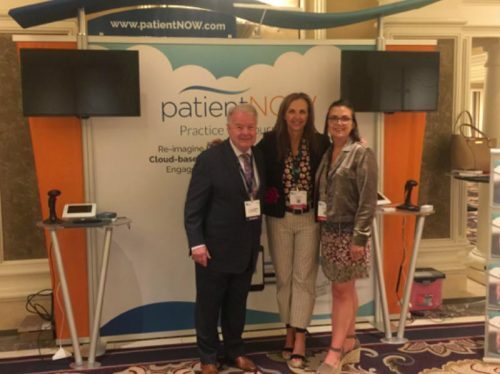 It’s fitting that my first aesthetic industry show would happen under the bright lights of Vegas at the Vegas Cosmetic Surgery (VCS) show. As a FIDM graduate and visual designer, there was MUCH to appreciate and plenty of design eye candy! According to a recent study by VentureBeat, e-mail marketing still continues to enjoy the highest ROI of all marketing channels available. It is estimated that for every $1 spent, an e-blast generates an average of $44 in return. One in five businesses show an estimated ROI of over 70:1. 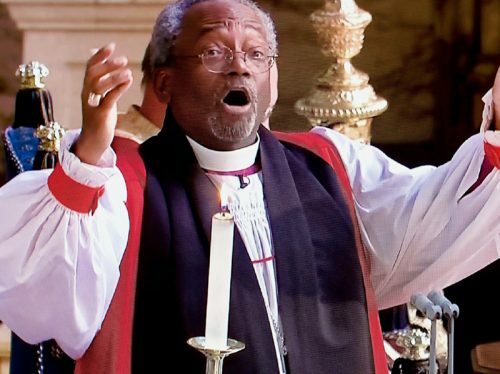 I was one of the estimated 29 million viewers in the United States who rolled out of bed to watch the royal wedding at 3:00am last Saturday morning.